Football fans have been warned to be careful how you stream the game. The World Cup trophy might not be coming home, but you know what might be? 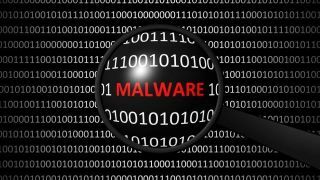 A virus on your computer, tablet or smartphone. If you're looking to stream the final game, be extra careful, because cyber criminals are using this opportunity to spread malware, experts have warned. Most of us are lucky enough to be able to watch Croatia crawl their way to the trophy, but some will have to turn to the internet to find someplace to stream the game. According to security researchers from McAfee, hackers are building apps that offer streaming services, as well as records of past games on the surface, while installing spyware on unsuspecting fans in the background. One app the researchers singled out is called Golden Cup, and this one seems to be particularly dangerous. This spyware can transfer files and information, including phone numbers, installed apps, device model and manufacturer, internal storage capacity, etc. Since being discovered, it has been removed from Google’s Play Store, but people also tend to download apps from unverified sources, which is always troublesome. McAfee warns all football fans to go straight to the source to avoid phishing and other cyberattack attempts; to watch with caution and only on official channels; and to be smart when connecting – use a VPN service and avoid connecting via free Wi-Fi or Bluetooth-paired devices.